Although it was nowhere near the earliest in Bitcoin history, Tradehill was one of the largest exchanges in the Bitcoin economy when the currency had its first brush with public prominence in 2011. When the exchange first launched in June 2011, MtGox was by far the dominant player in the market, with a market share approaching 95%, and Bitcoin users were eager to see some competition. Following a marketing blitz over the next two weeks, attention on Tradehill increased rapidly, and the exchange was further helped along by a security breach at MtGox which caused the Bitcoin price to appear to crash down to less than one cent. Over the next few months, the exchange continued to grow, and it seemed that if anyone would ever displace MtGox it would be them. However, soon Tradehill’s luck turned for the worse. Near the end of 2011, Tradehill’s main payment processing partner, Dwolla, made a sudden change to their policies: they started processing chargebacks. The move was a highly deceptive one; before then, “no chargebacks” had been a key part of Dwolla’s sales pitch, and when the change was made Dwolla made no effort to inform its customers. 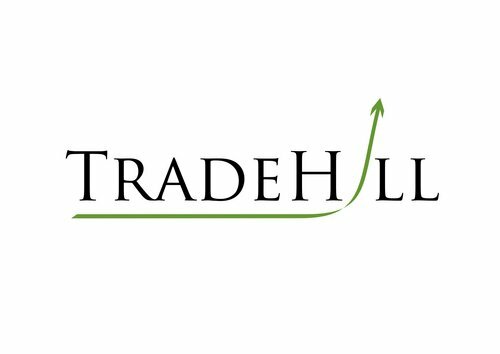 Instead, Tradehill only found out that anything was wrong when $94,000 worth of transactions were essentially reversed without warning, and Tradehill’s account frozen when they tried to move the remaining $70,000 to a safer location. Because of that loss, as well as increasing worries about the status of Bitcoin exchanges under US regulations, Tradehill shut down on February 15, 2012, and launched a lawsuit against Dwolla to attempt to recover its losses. From the point of view of most Bitcoin users, the exchange was never heard from again. Prime is not the first business to come up with such an idea; the Malta-based Exante has created a fund with a similar purpose of targeting institutional investors earlier in March. However, thanks to the way international financial regulation is currently set up the two are unlikely to be competitors. The United States government recently passed a law called the Foreign Account Tax Compliance ACT (FATCA), requiring any foreign financial services dealing with US customers to extensively report on their customers’ activities to the US government. The law imposes a 30% withholding tax on any institution that deals with US customers but does not comply, and, furthermore, as Mike Hearn put it, the law is “viral” – institutions outside of the US that comply must also impose the 30% withholding tax themselves on other institutions that do not. 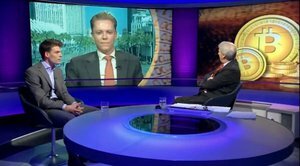 “Because the financial system is a fully connected graph,” Hearn explains, “this essentially means that US law spreads through it like an infection and eventually every financial institution will be forced to comply or face crippling sanctions from other financial institutions they interact with.” With this in mind, the majority of foreign financial institutions, including non-US-based Bitcoin businesses like Bitcoin Central, are choosing a much easier way out: stop dealing with US customers at all. This is the path that Exante will most likely take, leaving Prime in the United States, at least for now, all by itself. Although Prime and Exante’s BitcoinFund are similar in spirit, they are quite different in implementation. Kenna explains: “[Prime] is more of an investment club than a fund – people are trading bitcoins with each other, we just write software to facilitate.” The company intends to offer the highest possible level of customer service, including personalized assistance from a professional accountant for all of their clients, as well as integration with automatic trading bots, instant extremely high value bank deposits and withdrawals, and more. An investor seeking to buy $500,000 of BTC through MtGox would likely have a hard time getting their money in; with Prime, the banking integration systems are designed to do just that. For sellers, Prime has another proposition to make: above-market prices. The demand from institutional investors looking to get into Bitcoin is highly asymmetrical, and so it is quite likely that the market price on Prime will slightly exceed the price everywhere else. Given the rate at which the Bitcoin price has been moving over the last two months even a 5% surcharge is worth less than a single-day delay, so even to buyers Prime’s offer will still be extremely compelling. Prime has already found 75 customers, each with over $10,000 worth of bitcoin, and is gaining more every day. Kenna says, “people are saying to me, ‘I want to sell $500,000 worth of Bitcoin'” Given recent announcements from Coinlab, Exante and increasing numbers of Silicon Valley investors looking at Bitcoin businesses, institutional investor interest into Bitcoin is at an all-time high, and is only going to become greater over the next year.